Tweets typically appear in reverse chronological order, but that seems to be up for grabs as the company looks for ways to make its service more intuitive and attract more users in the face of stubbornly sluggish growth. In a conference call with financial analysts Tuesday, interim CEO Jack Dorsey and CFO Anthony Noto painted a sobering picture of Twitter. Some features launched recently to attract new users haven't produced results, Dorsey said, calling that "unacceptable." "We don't expect to see sustained meaningful growth in (monthly active users) until we start to reach the mass market," Noto said. And that could take a considerable amount of time, he said. Twitter's shares tanked as much as 11 percent following those comments. The stock initially rose after the company reported strong advertising sales and a 61 percent jump in revenue. But its user growth is struggling. In the U.S., Twitter's user base remained at 66 million at the end of the second quarter, the same as it was at the end of the first quarter. Outside the U.S., its users increased 3 percent over the same period to 250 million. Investor concerns over user growth and the health of Twitter's ad business have dogged the company since it went public in 2013. But the comments Tuesday suggest Twitter is ready to make big changes to attract more mainstream users, even if that means a risky break from tradition. "We'll continue to question our reverse chronological timeline," Dorsey said. 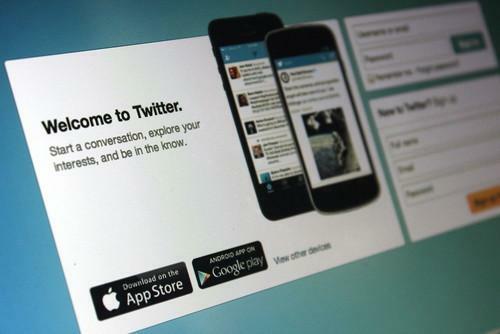 Twitter has already started to incorporate other signals into the way it places tweets in users' feeds. A new feature called While You Were Away shows users a select group of tweets at the top of their feeds that they might have missed after periods of inactivity. The feature displays tweets based on signals like how much activity the tweets generated and who posted them. That feature is designed to place more valuable content at the top of users' feeds, Dorsey said. It can show more relevant content, and it points to the future direction of Twitter, he said. Still, the company needs to strike the right balance between highlighting what it deems to be more relevant and not abandoning the real-time nature of a chronological feed, he said. Another change on the way is an improved way to track events as they unfold. Referred to internally as Project Lightning, the feature will occupy a new tab on the site that will surface content around popular events immediately. And instead of just showing tweets based on chronology, human editors will also decide which content to show. That feature will launch in the fall, Dorsey said. Human curation might be incorporated into other Twitter products and services down the road, he said. One analyst asked whether the changes might alienate Twitter's longtime power users. Even for those users, Dorsey said, more relevant content will be a good thing. One change the executives did not discuss was a tool for editing tweets after they're posted. Last week, Kim Kardashian asked for such a tool so she doesn't have to delete tweets when she misspells something. Dorsey has said it was a good idea but didn't mention it on Tuesday's call.